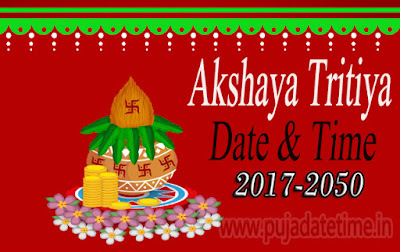 About Akshay Tritiya: Akshay Trutiya (अक्षय तृतीया), also known as Akti and Akha Teej. Hindus and Jains celebrate this festival every year. It falls on the 3rd Tithi (lunar day) of Bright Half (Shukla Paksha) of the pan-Indian month of Vaishakha and one of the four most important days for Hindus. It is considered as one of the most important days for Hindu community as it is the day of the birth of the Lord Parasurama who is the sixth incarnation of Lord Vishnu. 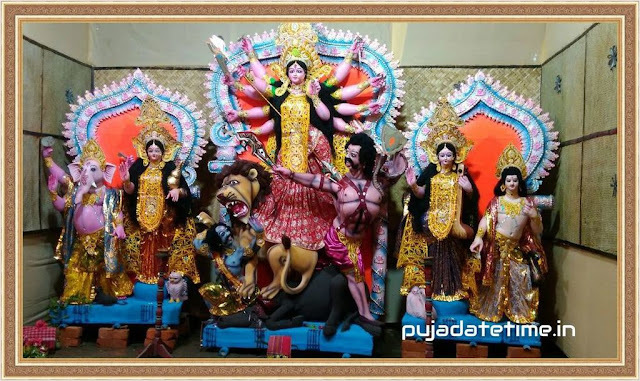 The Hindu community considers this day as a lucky day and believes that any venture such as a business or the construction of a building started on that day will follow betterment and prosperity. 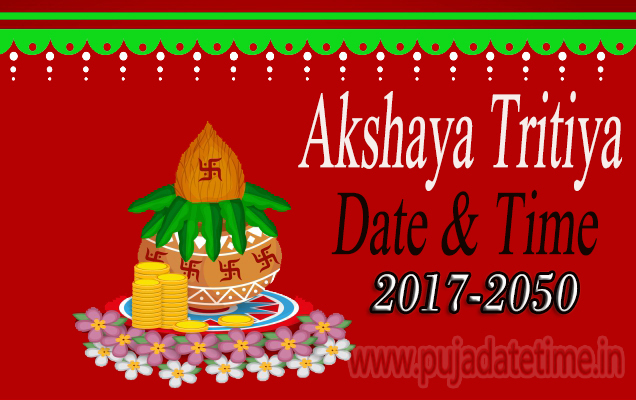 Akshaya Tritiya is a one day event celebrated in late April or early May.